Oklahoma Connection | Squyres came with his family to Indian Territory in 1897. In recognition of devotion to his Native American heritage, Scott Squyres was made honorary chief of the Seneca Tribe in New York and the Wichita Tribe in Oklahoma. Scott Preston Squyres was born in Arkansas and came with his family to Indian Territory in 1897. As the oldest of nine children he learned at an early age the arduous duties of clearing land, splitting rails, and other chores. He earned his way through school and graduated from the University Preparatory School at Tonkawa, Oklahoma, in 1917. Squyres entered the U.S. Navy and served through World War I. He went on to graduate from the University of Oklahoma in 1924 and practiced law in state and federal courts and in the Supreme Court. 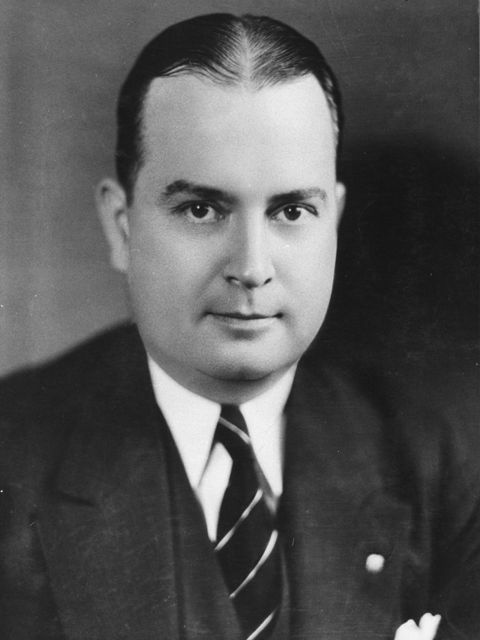 He became the national commander-in-chief of the Veterans of Foreign Wars in 1937 and was one of six senior attorneys for the Central Office of Veterans Administration in Washington, D.C. at the time of his death in 1946.